People will stop and stare when they see this awesome ring on your finger. This is a must-have for any respectable Goth! 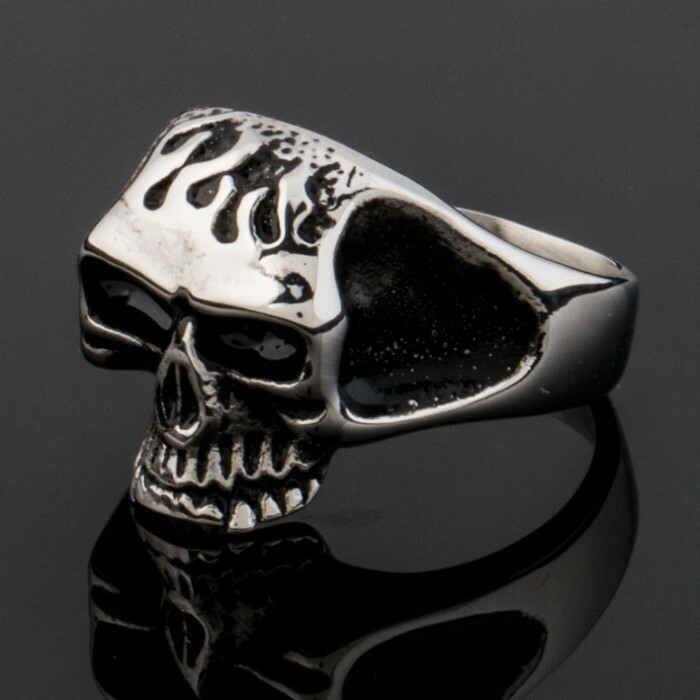 Deep, dark eye-sockets leer from this Gothic masterpiece of a ring. 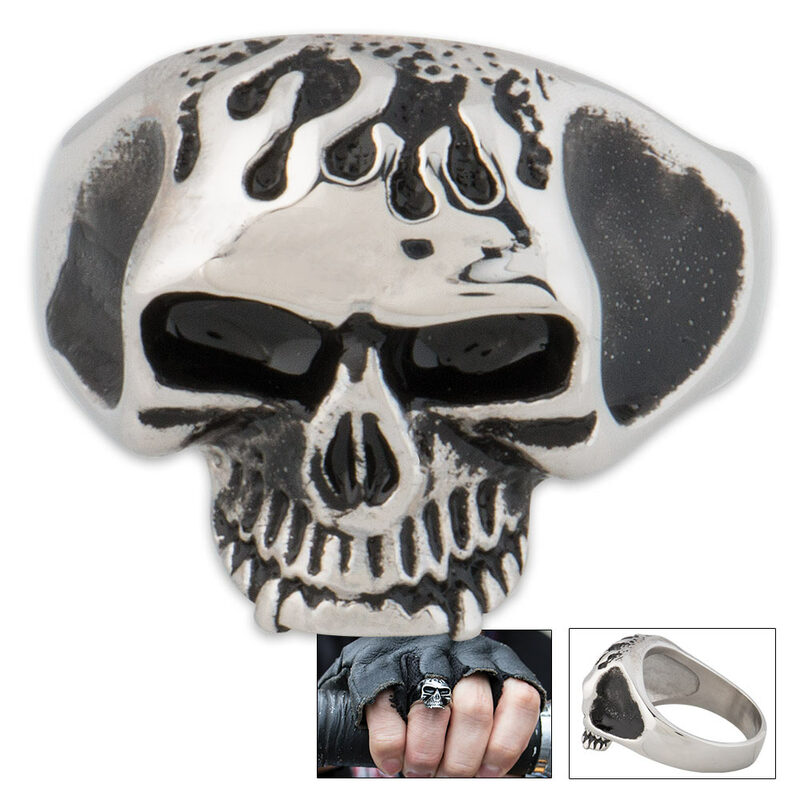 The ring is crafted of rust-resistant stainless steel and features a leering skull face design. Carved out accents of the side of the ring really set off the skull head affect. It comes in sizes 8, 9, 10, and 11.